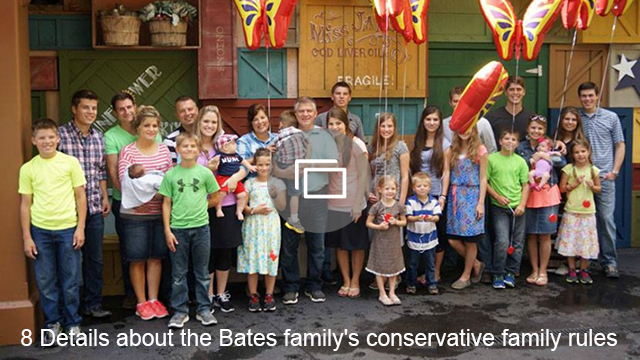 Erin Bates Paine allowed her family and their cameras inside her delivery room on Bringing Up Bates. In an exclusive clip for SheKnows, Erin is in the hospital getting ready to give birth to her daughter Brooklyn Elise Paine. She has quite the crowded delivery room. Not only are there nurses and doctors milling about, but her husband Chad Paine is next to her holding her hand, Kelly Jo Bates is there taking pictures, Tori Bates is at Erin’s bedside, and Katie Bates is acting as cameraman (since their normal camera crew wasn’t allowed in the hospital.). Erin’s delivery of baby No. 2 will be showcased on Thursday’s episode of the show titled, “And Baby Makes Five?” It’s aptly titled because not only did the family welcome a new baby, but they also adopted a puppy just a few weeks before Erin gave birth. Anyone who’s ever had a puppy knows that’s quite the handful to take on in and of itself. Add in the new baby, and this family is going to be busy for the next couple of months. Though Erin was very open about her high-risk pregnancy, things seemed to go smoothly this time around with her delivery. Of course, we’ll have to wait and see once the full episode airs, but during the clip, Erin suggests that this time around was much easier. “It was a really strange feeling because I was in labor and not in any pain, so I kept asking, ‘Can I push?’ You know? ‘Is it time?’ And finally [the doctor] was like, ‘Yes! '” Erin said of her delivery and the excitement during the day. We know both Erin and Brooklyn Elise are happy and healthy post-delivery thanks to an announcement by UPtv following the birth. Not to mention adorable Instagram pics! Watch the full exclusive clip from the episode below.